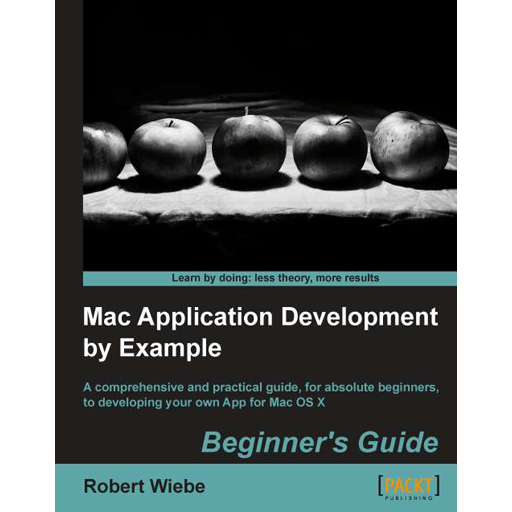 A comprehensive and practical guide, for absolute beginners, to developing your own App for Mac OS X. This book takes you through all the aspects of using the Xcode development tool to produce a broad range of complete working apps so bring your ideas to life using fundamental concepts that work on Mac. Mac Application Development by Example: Beginners Guide takes you through all the aspects of using the Xcode development tool to produce complete working apps that cover a broad range of topics.This comprehensive book on developing applications covers everything a beginner needs to know and demonstrates the concepts using examples that take advantage of some of the most interesting hardware and software features available. You will discover the fundamental aspects of OS X development while investigating innovative platform features to create a final product which take advantage of the unique aspects of OS X. Learn how to use Xcode tools to create and share Mac OS X apps. This book provides you with an illustrated and annotated guide to bring your idea to life using fundamental concepts that work on Mac.